Joyetech Cuboid 200 TC MOD, powered by 3 replaceable 18650 cells, can fire up to 200W. It is a total safe and reliable device as the protect chip. Having preheat function that is a perfect for using an RDA, RTA or the ceramic heads. 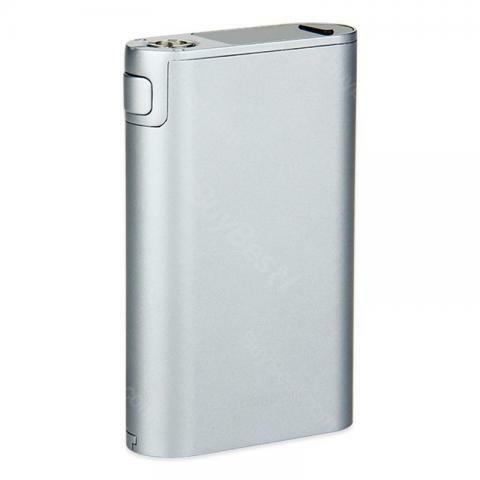 Joyetech Cuboid 200 TC Box MOD, made of zinc alloy, provides durable and glossy appearance. It applied with a wide border which matches with larger sized tank atomizers. Powered by triple replaceable high-rate 18650 cells, Cuboid 200 can fire up to 200W. It uses the variable Temperature Control System including Titanium, Nickel, and stainless Steel 316 in TC Mode and customized TCR. Joyetech Cuboid 200W MOD has a 0.96-inch OLED screen, which is placed on the MOD's top. This OLED display present all information that you can read your vaping data easily and clearly. The Cuboid 200 is a total safe and reliable device as there is a amazing chip will protect the device from damages in the event of reverse battery installation. It also integrates overall battery protection of over-charging, over-current and over-discharging. Having the latest firmware V6.04, you can custom logo and preheat for your Cuboid 200 MOD. Preheat allows the MOD to start at a high output for a few seconds to warm up, that is a perfect function when using an RDA, RTA or the ceramic heads at your Cuboid 200. Meanwhile, the firmware can be upgradeable with which you can keep you MOD up-to-date. very good mod, little heavy but im fine with that. This Cuboid 200 TC Box MOD is very easy to use. Works very good for beginners. The kit is very small and fits in every pocket. Lieferzeit wurde auch ein gehälten, kein rumgemansche mit den liquid, einfach draufstecken und dampfen. Würde Joyetech Cuboid wiederkaufen.